The Ways of Knowing Urban Ecologies project started in 2011 and finished in December 2016. Below follows the final report I submitted to the funder Formas and some additional notes. The project became an amazing learning space for me as Principal Investigator for my first research project, and highly productive for especially other younger scholars and students that have been involved. The Ways of Knowing Urban Ecologies Project has been incredibly productive as can be witnessed by its publication list. This includes one PhD thesis, an upcoming edited volume with MIT Press, and a row of high-calibre theoretical and empirical contributions in top-journals based on extensive empirical work in Cape Town and Stockholm, including New Orleans (the latter mainly through the associated MOVE project). To this, the core WOK-UE team—Jane Battersby, Marnie Graham, Anna Storm, Joshua Lewis, Mary Lawhon and Sverker Sörlin—also made regular contributions to wider popular science and media platforms. 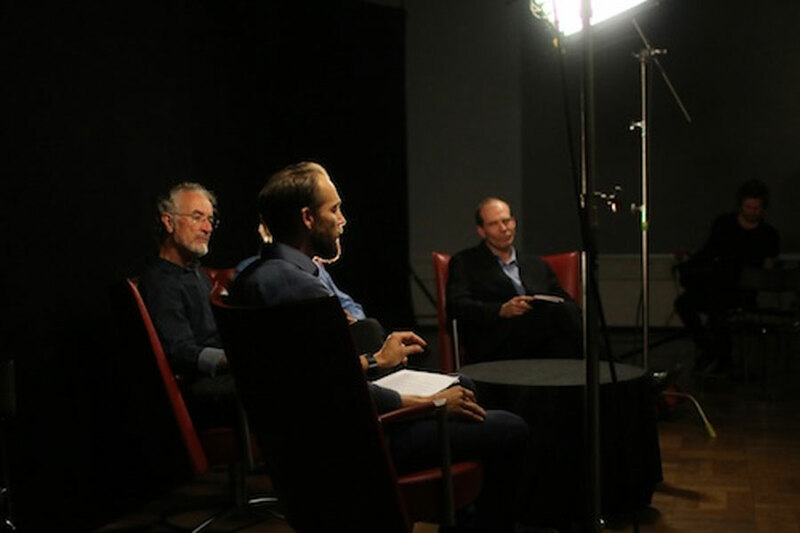 The development of two major reserach film projects, One Table Two Elephants (upcoming in 2018), and Moving Closer to Nature with film-maker and researcher Jacob von Heland, which in turn has lead to the development of a newly funded project on Visual Environmental Humanities (that funds two new research films). Explorations at the borderland between design, art and ecology in Tactical Symbiotics with designer Martín Ávila (aligned to his postdoctoral project). The development of the ACC Annual Seminar and PhD Course on Democratic Practices of Unequal Geographies, with political philosopher Andrés Henao Castro that over three years have explored the intersection of political theory, global South urbanism and urban ecologies/geographies. The organizing of the academic workshop on Radical Incrementalism and Theories/Practices of Emancipatory Change with critical geographer Jonathan Silver. The use of hip-hop and theatre practices to situate stories of Cape Flats in the play STOMPIE in Cape Town together with Emile Jansen/Mixed Mense and theatre director Kent Ekberg. The partial funding of organizing the conference Urban Beyond Measure at Stanford University with critical geographer and urban planner Jia-Ching Chen. The provision of funds for the development and eventual funding of major research grants on food security at the African Centre for Cities by Jane Battersby. The work with SUPE-core publications in Antipode and Regional Studies with Jonathan Silver, Mary Lawhon, and James Duminy. Complementary funding of the SUPE Africa-focused week-long workshop in Pretoria with younger scholars with Jonathan Silver, Mary Lawhon and Joe Pierce (with support from the Antipode Foundation). The support for SUPE members to give conference presentations and organize special sessions at the conferences of Dimensions of Political Ecology (DOPE) and Association of American Geographers (AAG). Support towards the development of new research projects that have now been funded, including NOTRUC, TLR Waste, and HICCUP with several already mentioned scholars, alongside Suraya Scheba and Koni Benson (funded partially by WOK-UE), and Erik Swyngedouw, Nate Millington and PhD students Kathleen Stokes and Anesu Makina (funded through the new projects). And the development of this website, the recently released website for The Situated UPE Collective. (C) The writing and organizing of the Grounding Urban Natures edited book volume (Ernstson & Sörlin), including two workshops in Cape Town and Stockholm. The book is now in review at MIT Press with 14 chapters and should come out in 2018. Just this glimpse into the project’s main activities beyond the peer-reviewed publication, shows what a single project can do when paired with excellent people, institutions and other projects. Throughout its life-span, the WOK-UE project have been quite instrumental in supporting the building of an amazing network of scholars, students and practitioners that go beyond those mentioned here. Grounded in this experience, it becomes clear to me just how important it is for us critical scholars to network and use the resources we control to actively build peer-networks and peer-collaborations. While fieldwork and the writing of PhD theses and peer-review publications arecentral to our work—so is the ability to build longer-lasting networks. At least three crucial contextual factors are important to mention. First, the Swedish funder Formas is an excellent funder in that it provides high autonomy to the PI to run the project. There are few reports to write and their administration is highly flexible and personal. This in turn provides time for the team and the PI to stay focused on empirical research and networking, such as those above. Also, if not all funds are spent as first outlined and in time, changes and extensions can be negotiated without too much formalities. Secondly, the universities involved have been highly accommodating of the project, in spite its international complex arrangement with scholars from different institutions and countries. I have been highly reliant on competent university administrators, economic controllers, and interested research directors to steer the project and accommodate it within separated bureaucracies that demand specific budgets, overhead costs and paper work. Thirdly, the building of dedicated websites and keeping them active have proved important to gather and build a network of interested scholars and students. To encourage team members and others outside of the project to contribute blog-posts for provides a channel to write less formal texts than those for peer-reviewed journals. The website also creates a logbook of a project. For WOK-UE you can for instance easily go to The Situated Ecologies Platform website and search for “ways of knowing” (or just click here). 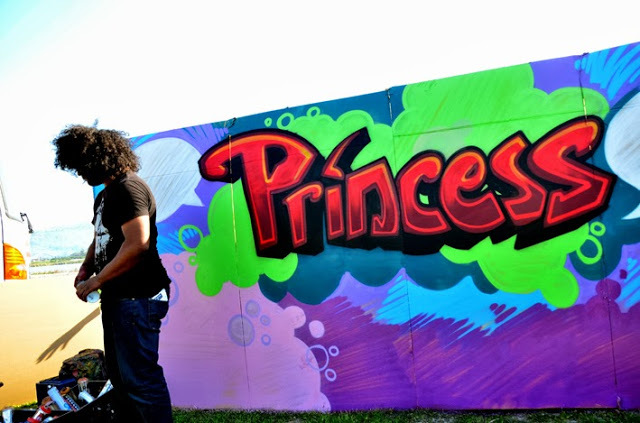 Up pops at least 36 related posts, which provides a quite fascinating overview of “the rhythm” of the project; smaller and larger events and activities string out over time that helps to build an idea of the project. Building a website was indeed a good and early decision that has served to create interest around the project among scholars, students and the public. Now, after the project, the website provides testament of the project and material for further reflection. Finally, it has been a lot of work as PI for the WOK-UE project, but it has also been extremely rewarding. This was my first research project as PI, and I have a lot of people to thank, some of them are mentioned above, in being able to serve (and flounder) in this role. Below follows the short final report to the funder Formas (for a Swedish translation, scroll down on this page). /Henrik Ernstson, Cape Town 18 May 2017. Principal Investigator: Dr. Henrik Ernstson. Project Researchers: Dr. Jane Battersby, Dr. Mary Lawhon, Marnie Graham (PhD student), Joshua Lewis (PhD student), Dr. Anna Storm, Professor Sverker Sörlin. Institutional Partners: KTH Environmental Humanities Laboratory, KTH Royal Institute of Technology; African Centre for Cities, University of Cape Town; Stockholm Resilience Centre, Stockholm University. This project sought to critically examine the social, cultural and political dimensions of natural resource management (NRM) in rapidly growing urban spaces, in particular of the global South. We developed four in-depth studies in Cape Town, South Africa, a rapidly growing city shaped by its colonial and apartheid past and highly unequal, culturally diverse and grappling with resource management challenges; with one contrastive study in Stockholm. Two ideas guided our work: First, NRM must be understood not as an objective, value-free practice but as a social practice informed by particular ways of knowing and ways of valuing urban spaces. Second, while viewed as embedded within state/city bureaucracies and shaped by colonial/modernist discourses, NRM will necessarily have to engage with alternative and vernacular ways of knowing urban nature. Our interest has been to uncover alternative ways of knowing and analyze how these put pressure on NRM to integrate, dominate, by-pass or silence such ways of knowing with a special focus of how marginalized groups tries to assert their ways of knowing. A key purpose has been to provide material for reflections on more inclusive forms of urban NRM. 1. Macassar Dunes/Wolfgat Nature Reserve, a protected coastal dune area close to informal settlements and apartheid-era townships. Departing from how protected areas and nature conservation are shaped by Western and colonial practices, we developed a postcolonial nature conservation perspective to explore how colonial legacies live on, are contested and shaped through everyday practices and co-management relations at the Macassar Dunes. 2. Phillippi Horticulture Area (PHA), a large urban agricultural space on Cape Flats under pressure for housing and industrial development. This work showed how government NRM frameworks have disconnected agricultural land from its food systems value making it difficult to protect. But also how knowledge practices of emergent black farmers, activists and sholars have embedded PHA within wider cultural, economic and food security struggles. 3. Princess Vlei, a neglected wetland on Cape Flats. Here we followed how historically marginalized so called Coloured residents mobilized to stop the building of a shopping mall by embedding the wetland and fynbos plants within memories of oppression. This undermined the authority of NRM practices of biodiversity mapping and ecosystem services that tend to separate nature from culture/history . 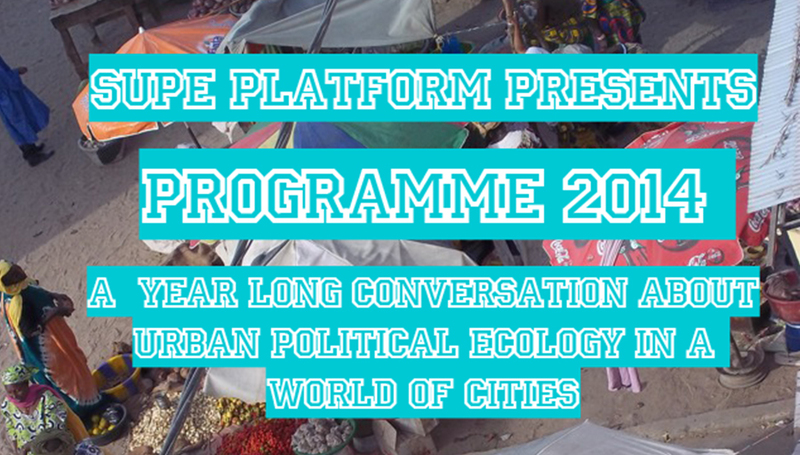 With regards to such radically different ways of knowing urban nature, we developed a documentary film project One Table Two Elephants , also funded by Formas. 4. Cecilia Forest/Park, chosen for its contrast as this once forested area turned into a conflict between two elites; conservation biologists authorized to cut down so called alien trees, and affluent white residents who wanted to keep the trees as part of their cultural heritage/recreational space. We also drew upon our previous studies in Stockholm and developed a study at Kymlinge in Stockholm, a 60 hectars green area surrounded by residential areas and heavy transport infrastructure, which served as a comparative study. In parallel, Joshua Lewis has developed an in-depth study in New Orleans for comparative studies with Henrik Ernstson’s work in Cape Town. NRM is an inherently conflictual and contested process. A key finding from our project is how NRM works to silence alternative ways of knowing urban spaces and urban nature, thus impoverishing how urban nature and urban ecology can be thought, engaged and managed. This is true even for quite recent frameworks such as ecosystem services, social-ecological systems theory and resilience thinking, which at the surface are open to various ways of knowing, but still have done little to integrate postcolonial critique and other knowledge critical frameworks in urban settings. Of interest to wider discussions on global South/postcolonial urbanization, our results illustrates how colonising legacies persist at wider and institutional levels through exclusionary conservation practices, a focus on biodiversity preservation or elite heritage, and through sustained racialised relations. Nonetheless, we argue that some of the most transformative practices takes place either through urban land-use conflicts where established ways of knowing gets scrutinized and challenged (as at Princess Vlei and PHA), or through more subtle collaborative practices within ad hoc, informal, and unmanaged interactions, involving deeply interpersonal and ethically challenging situations (as at Macassar and Princess Vlei). Through these interactions, conservators, community participants, black emergent farmers and Coloured wetland activists were redefining on-the-ground what postcolonial NRM might mean. We note with our study at Tokai Forest how elites, while pushing conservative social agendas, can challenge expert discourses. Our Kymlinge study contributes comparative dimensions between North and South cities in how expert/vernacular ways of valuing space intersects. 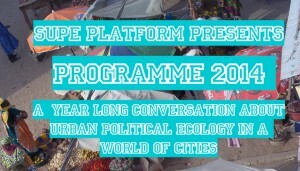 Our studies in Cape Town and our theoretical work to combine postcolonial critique and environmental studies (into a Situated Urban Political Ecologies framework) affirms our conclusion that more research is needed on how discourses and practices of NRM, nature conservation, biodiversity protection and ecosystem management travels and gets accommodated in various cities and works to silence alternative ways of knowing. In large parts of NRM research/practice there is little awareness of this. This hampers the development of more sensitive and democratic ways of organizing the public management of contested urban nature values (i.e. NRM). Go here for all Publications and a list of popular science articles, conference presentations, and reports.